After coming home from Thailand I was keen to try my new skills from a Thai cooking class. 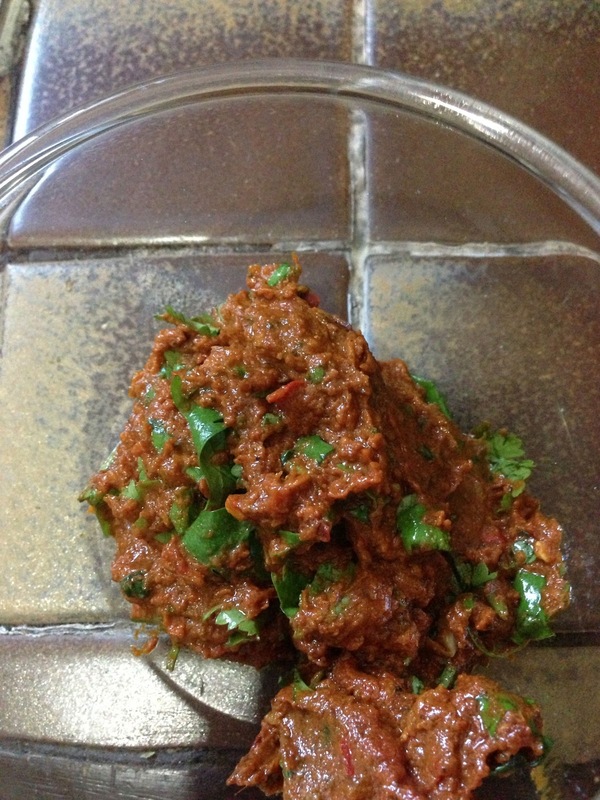 One thing that I learnt was just how easy curry paste is to make and how different it tastes when done fresh. Gone are the days of store bought paste! This was a great, easy recipe that really anyone could do. It came out amazing and was a big hit in the house. The rice is a recipe/method I use every time to make rice, it's really simple and always turns out perfect. Try adding things like chicken stock and cloves for an enhanced flavour! You can make this curry with a jar of paste if time short, but I really recommend that you give the paste a go, you wont be sorry. Peel the garlic and ginger. Put a frying pan on a medium to high heat and add the peppercorns, garlic, coriander seeds, fennel seeds and fenugreek seeds to a dry pan. Lightly toast them for a few minutes until golden brown and smelling delicious then remove pan from the heat. 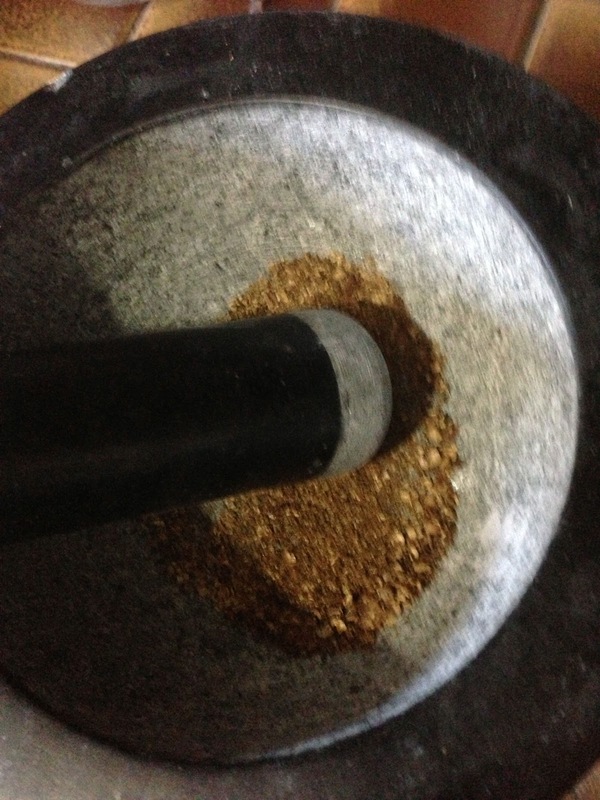 Add toasted spices to a pestle and mortar and grind until fine (you could use a food processor also). Add the rest of the ingredients and grind until you have a smooth paste. Peel, halve and finely slice your onions. Peel and finely slice the chilli. Peel and finely slice the ginger. Pick the coriander leaves and finely chop the stalks. Cut the tomatoes into quarters. Get a large casserole-type pan on a medium to high hear and add a couple of lugs of groundnut oil and the butter. 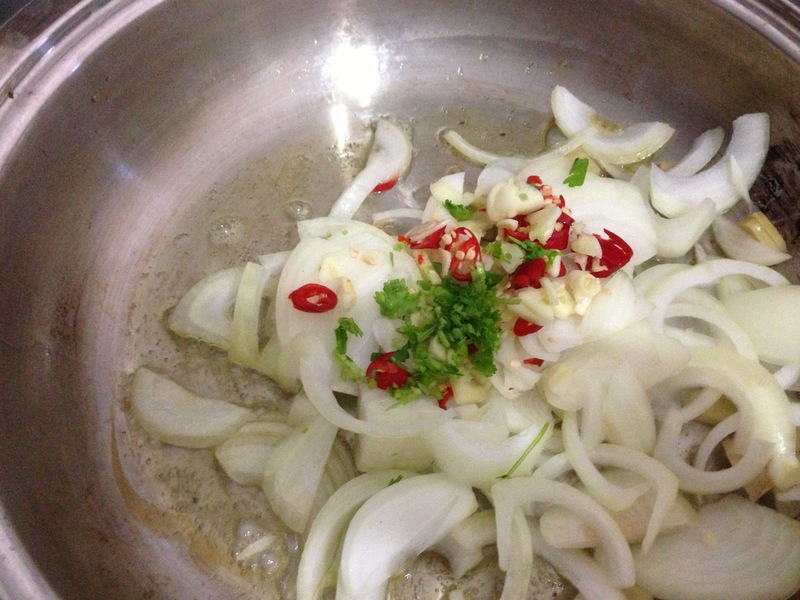 Add onions, garlic, chilli, ginger and coriander stalks and cook for 10 minutes, until softened and golden. Add the pork and curry paste, stir well to coat everything with the paste and season with salt and pepper. Add the tomatoes, balsamic, honey and about 400g of water, enough to cover everything and stir again. Bring to the boil, then turn the heat down and simmer for 45 minutes with the lid on. 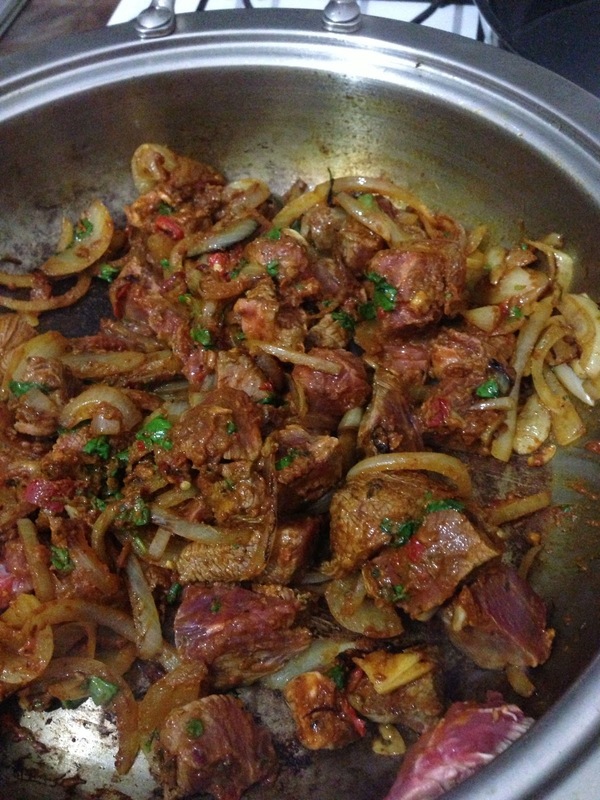 Check the curry regularly to make sure it's not sticking to the pan and add extra water if necessary. Only when the meat is tender and cooked, taste and season with salt and pepper - season carefully. Put a large pan of salted water on a high heat and bring to a boil. Rinse rice in a colander under running water for 1 minute or until the water runs clear. Add rice to boiling water and wait for the grains to start dancing around. From that point, boil for 5 minutes. Drain rice and pour 2.5cm of water back into the pan. Cover the rice in the colander with foil or a lid and place on top of the simmering water and let the rice steam over it for 8-10 minutes. Remove from the heat, cover until ready to serve. It should stay warm for 20 minutes. 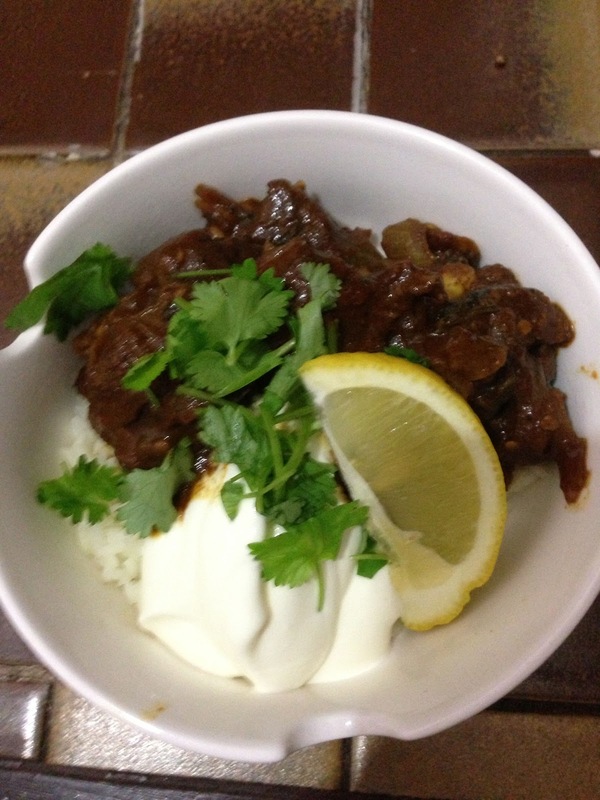 Serve the curry with rice, natural yoghurt, coriander leaves and lemon wedges. Changes Made: I did not have any fenugreek or curry powder so omitted this ingredient. I also used beef rather than pork. Results: Oh my goodness! This was flavour central, I had thought that the paste was a little wet, but turned out so good. I loved the yoghurt and lemon and for someone who does not really like coriander it really balanced out the whole dish. As a beef farmer I'm curious. Why don't you eat beef? maybe Janet is Hindu? or a hedgy vege. A gorgeous recipe, well worth making the paste. Recommended.